In this section we will examine link building tactics that you can apply to any website. Although it is quite a tough approach to take it has many long-term advantages that will pay off in the long run. 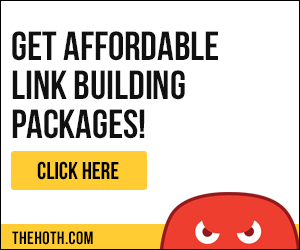 The basic premise of content-based link building is that you create a piece of content that is so mind blowing people want to connect and build links to your content. There are many ways of creating content that others may want to connect too it doesn’t always have to be a blog post. Try and be creative and think of unique ways of presenting your content that will help others want to link to it. Let’s take you through creating a content-based campaign. So to start off with you need to develop your idea – what is it that you are going to create content about. As we mentioned in our post on campaign building you need to start with who is it that you are trying to target, where they hang out online and what sites they engage with, and who are their influences. When doing your research you need to ensure that your content has the required amount of depth and complexity to engage your audience. Let’s look at some of the ways you can create eye-catching content to launch your campaigns. I have yet to create an infographic so I thought I would share with you what an infographic is and how you can create one and then how to use it for link building purposes. Basically, an infographic is a visual representation of data or content. Their prime purpose is to make complex information more accessible and easier to understand. It is also much easier to repurpose infographics and share them across many platforms. So just how easy is it to create an infographic and what steps do I need to take to create one? Tease out the titles, subtitles, headers, and facts. Item any other aspects you might want to include. One of the easiest ways of producing an infographic is by using a template. I am going to use Venngage as my resource as they have an array of templates to use. Types Of Links You Can Build. One of the best ways of promoting your infographic is to use it as your piece of content when you are considering a content-based link building campaign. Because of its nature, people are more than likely to read it and probably engage with it. How To Guides can help you create brand awareness and tell your audience the level of your expertise on a given topic? One of the first steps is to decide what to write about. You may want to choose a topic that is cognisant with your content based link building campaign. It needs to be of interest to your target audience and is your main area of expertise. Once you have your ideas check to see if anything similar is out there, if so try to come up with a new angle or approach. You then need to plan your guide and undertake your research. In order to write a convincing guide, you need to ensure you have sources and statistics along with the expert opinion. You need to decide the length of your guide, you will need between 2000 to 4000-word guide so it contains enough detail but you can read it in one sitting. When writing your guide keep in mind the language that you choose to use and proofread it over many times. Use pictures and diagrams to break up the text and highlight salient points. Once your guide is written you have to decide how to distribute it. You might want to get an email address or contact details or social media interaction in return for downloading your guide. Don’t use too much text, break it up to make it more readable. Make sure you have some unique content in the guide you will need that to win new customers. Don’t make it too short or too salesy. Finally, there is no point in spending so much time creating a guide if you do not spend the same amount of time promoting it. I could write a whole how-to guide on videos and video production and they are a great asset to aid your link building. There are many SEO benefits of having a video as part of your overall strategy. Having multimedia assets on your page will help add value to your page’s SEO metrics. Video helps to increase time on page metric which is one of the search engines parameters. Some tips to help you get the most from your video. Transcript – make sure your video has a full transcript it will help users who may not be able to hear the video. Make sure your video has a strong catchy title, and it is fully optimized with a full list of keywords. I use TubeBuddy on my channel that will help you optimize all your video’s effectiveness. Ensure that you use the description and use all of it but don’t overstuff it with keywords. Lastly, make it embeddable and shareable. Then don’t forget to upload it to other video sharing sites, not just Youtube. Using images as part of your link building campaigns is often overlooked. 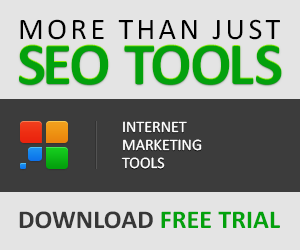 They can be an effective way of obtaining quality links back to your content. For example, if you manage to guest post for someone always use an image from your website and then reference that page with a backlink to it. The other way is to take web data and turn it into an image such as an infographic but you can also use any image that you own the rights for. One of the effective ways of creating a sustainable link building campaign is to create great high-quality content. I have shared with you a few of the ways you can leverage content to build links back to your site. In the next post in this series, we will take an in-depth look at guest posting. Welcome to Toplinkbuilding to one resource on the internet that brings everything 'Link Building' into one space. Toplinkbuilding Copyright © 2019. All rights reserved.